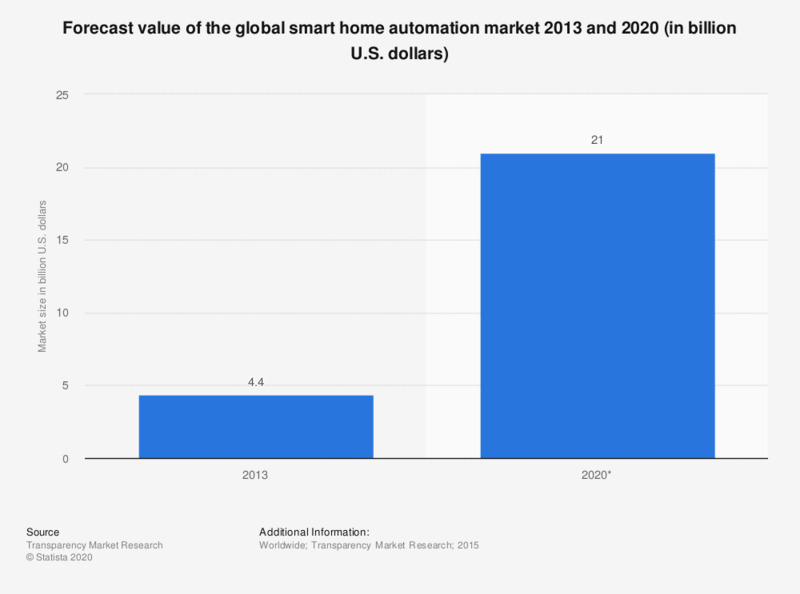 The statistic shows a growth forecast for the global home automation market in 2020 and shows the actual projected market value of the home automation market in 2013. For 2020, the global smart home automation market is forecasted to reach 21 billion U.S. dollars. The predicted compound annual growth rate between 2013 and 2020 should be 26.3 percent. Why did you (sometimes) decide against connected devices? On how many doors and windows do you have connected sensors?